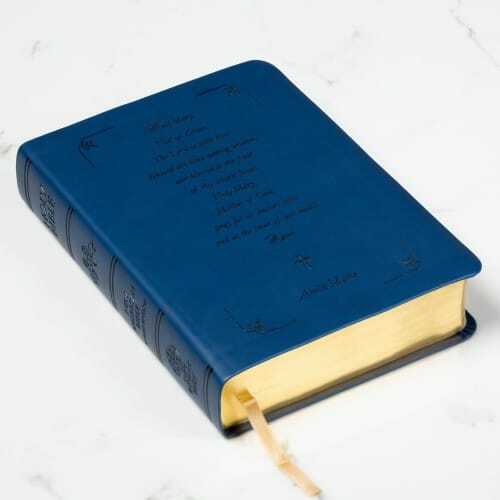 This Catholic Company exclusive Bible comes with free, detailed name personalization! The softcover design allows for us to add serene script and a delicate border that comes together wonderfully. Ask for Our Lady's guidance as you read the Bible, especially the words of her Son. A thoughtful gift for a sacrament, graduation, or any special occasion.